My friend Amy, of Living Locurto, asked if I would create a guest blog post for a Mother’s Day project. If you don’t know Amy, you’ve been missing out on a lot of scrumptious art freebies over on her website, so get over there! 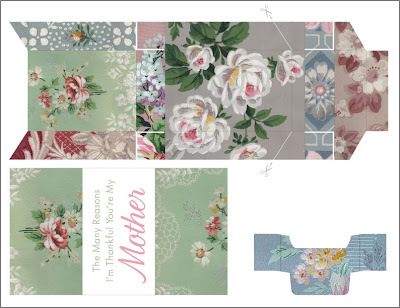 I have been working on a project for my mom and made a tutorial to share with you, and in keeping with spirit of freebies, I have created one of the designs with the fabulous free vintage wallpaper graphics of a another blog-friend, Karen, The Graphics Fairy! 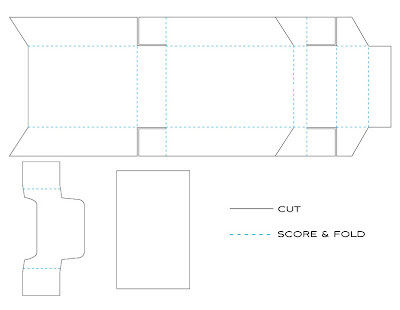 I designed a template based on the construction of a cigarette box, (no, I don’t smoke, but still think it makes for a great little package pattern.) I designed this box to fit business card size notes. You can use the designs provided, or utilize the blank template for use with scrapbook paper, or any other paper you’d like, but it’s best to print and construct the box with card stock to keep it rigid. A really big Thank You! to Amy for making the PDF files easy to download, just click on any template image. To make the Message Box:(1) Print the template you choose onto white card-stock. If printing the Manilla box, write your “To” and “From” info before trimming and folding (in case you make a mistake in writing, you will not have already gone through all the assembly!) (2) Trim out the template, cutting notches and slices where marked. Score (press deep crease with dull pointed object) along all fold lines. Scoring is essential to the success of this project! (3) Fold along all fold creases. (4) & (5) Using double-stick tape or other paper adhesive, secure the under-lid flap and tuck and tape side panel flaps and flaps on the lid as shown. (6) Use adhesive to attach the inside panel, slide into position and stick. (7) Punch holes in center of reinforcement circle graphic and add an eyelet if you’d like. (8) & (9) For the Manilla Message Box, cut out business card size (2″ x 3.5″) pieces of paper, cardboard, vintage ephemera, etc. and add a sentiment to each. Embellish with stickers and more. 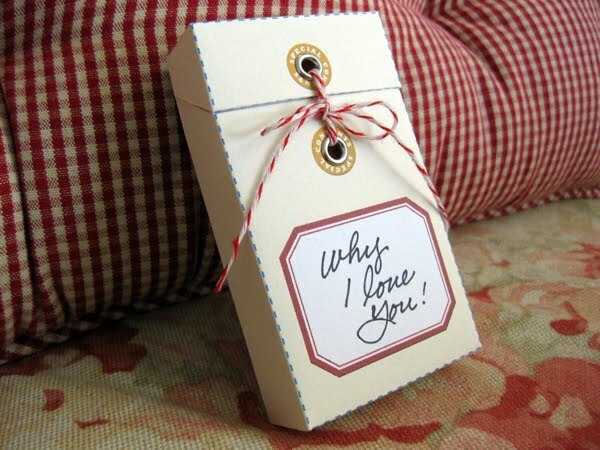 (10) For the Wallpaper box, simply cut out plain cardstock, write on each, and gather with the “Mother” wrap-around cut-out. Finally, tie your box with ribbon or string and send along to your mom to let her know just how much she means to you! Fill with 30 little notes for your friend who’s turning 30. 40 for 40, etc. Use as a file for business cards you pick up here and there. Make several boxes to organize small craft supplies. Before printing the wallpaper template, cover the wording with a white box to erase the type and add your own for another occasion or purpose. 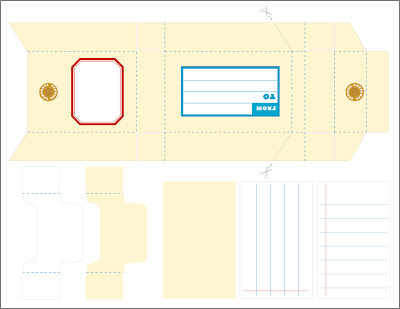 Use the basic template to create custom boxes for product packaging. This entry was posted in Uncategorized and tagged craft tutorial, diy, Mother's Day Craft. Bookmark the permalink. What a wonderful idea! Thanks so much! If I already had one of these made, I’d send it to you with little notes about why I love you (but not in stalker way). The first one would say “I love you because you are so freakin’ fantasticly creative!” Thanks! You’re so clever, there’s no way I’ll ever make anything like this but it’s great to see the process – really like the green and pink florals together. What an excelent idea. I will make it and I´ll use as a file for business cards. thank you so much. Thank you sooooooooo much for sharing! You are my new BFF! That is flippin” awesome! Thank you! This is simply adorable. My mom is going to love it! Awesome project! You are too creative for this earth!!! This is wonderful! Thank you so much for sharing it with us! You rock! These are great and I love that you oh so thoughfully gave us a blank one so we can use it for lots of reasons. Geez I get sick for a few days and miss coming by and you’ve got a ton for me to catch up on! Thanks again Cathe! I can’t wait to see what else you do for your mom. I hope I have creative kids:-) I want something like this someday! this is incredible!!! Thanks so much for sharing it. you are truly AWESOME!! thank you so much for sharing your INCREDIBLE & CREATIVE talent!! 🙂 Have a GREAT day! Thank you so much for your generousity in sharing all of your hard work. I agree with Vivienne, you are brilliant. It seems like I need an engineering degree just to wrap my mind around how you created them. I can’t wait to make them. It’s so sweet that you and your Mom are so close and she reads your blog. I am going to make one for my Mom. I have been wracking (?) my brain to think of something handmade and special since Mom is disabled and doesn’t want anything store bought. I really enjoy your blog. Have a great day – you just made mine very happy! Oh my theses are beautiful! Can I be your mom??? 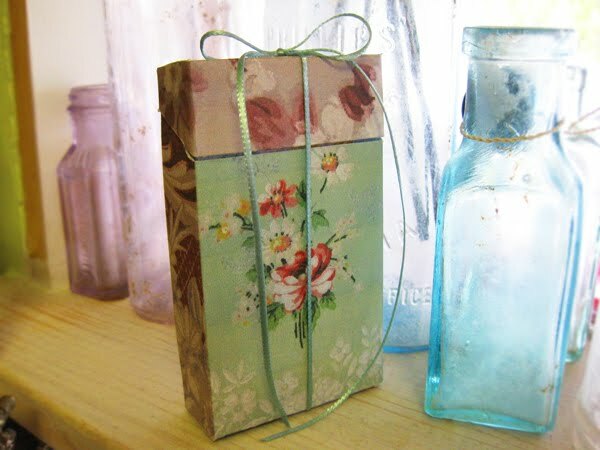 Great little box and wonderful craft idea. Great idea and superb tutorial! Thanks! I’ll spread the word on my blog and link to it. And I love those buttons! Thank you for the brilliant idea. I love it!!!! what an awesome gift idea. i love it. thanks for sharing. My Mum died last year I wish I had done something like this for her. I got here from Tipnut and loved the idea! I just made one for my mom and I love it! Super simple but so customizable. I used the blank template and attached scrapbook paper to it and it's gorgeous. I'll be making another for my MIL, too. The boxes will go in the baskets we're putting together full of gourmet wine, cheese and chocolate. They'll love it. Thanks for the template! I would like to make something special for my mother-in-law. The graphics you used for the box here are gorgeous. A small photo album with photos of her baby( 60 yrs) would be something she’d really enjoy looking at. She really likes pink and roses. I’d like to do the cover in a vintage theme. Thank you so much for sharing your creativeness and for inspiring me. Love your idea. I save all the unique boxes that I come across to ‘reconstruct’ into something else. Working in an arts and crafts store gives me all kinds of unique boxes to play with. This one is great!!! Discovered you in this month’s Country Living today. Since it’s my birthday, I took it as a gift and have been lovingly scrolling through your blog clicking and saving any wonderful craft that catches my eye! Thank you for sharing your creative mind I will be enjoying your blog from now on! So cute idea. I love it. I just love this little box…adorable….and being an ex-smoker since last year…(mom was there through it all…and she still loves me)…mothers are amazing like that…what a cute way to say thanks…and thank you…..so creative. I am thinking of making a box of tags for my daughter to give to her patients to help cheering them up while they are in the hospital. I have to adjust the size a little bit to fit the tags. Do you have this tamplate in curves, in cdr format perhaps? I would like to make some boxes of my own with just a little bit different diameters. This is beautiful, Thank you for sharing your talent. Thank your sharing your work it is amazing I hope I can use it in my junk journal and sell them but if now please let me know.